3 x 15/20 minutes practise sessions keeping practising fresh! 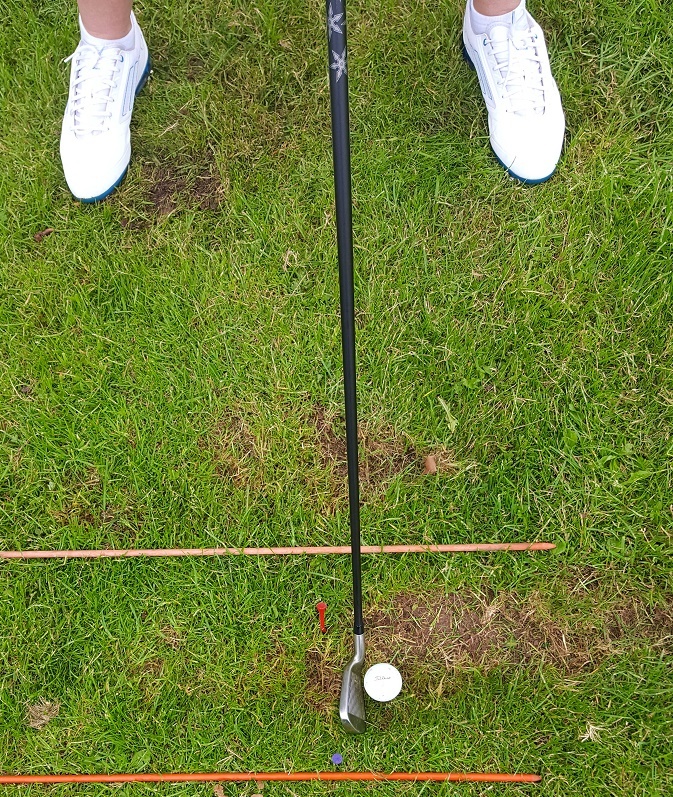 Identify ball to the target line and use poles or golf shafts as guides. Identify the leading edge of the club and align the leading edge perpendicular to that ball to target line. Stand directly behind the ball and find a point/leaf/odd looking grass or etc, a foot or two in front of the ball to target line. Use that mark as you aiming guide. Make a good practice swing, then set up and aim the club correctly. Hit the shot and repeat the process. Certainly, you should practice hitting the ball with an opposite hand club. So if you are right hand, may I suggest finding a left-handed 6 or 7 iron. Furthermore, start practising hitting opposite hand for at least one hour a week. Also, practice the turning exercises for the opposite hand movement and just keep swinging.